What a happy baby! Hailey looks so cute in her blessing dress. 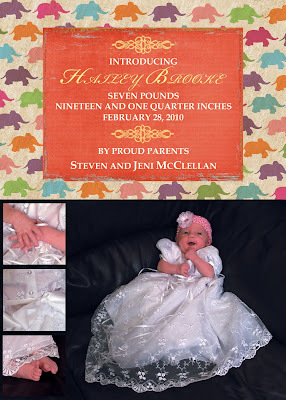 That really was a special day for us and her blessing pictures soon became the obvious choice for her announcement.